Bring to a boil, stirring frequently so it doesn’t stick. Reduce heat and simmer for 30 minutes. Don’t cover the pot so it can start to reduce. 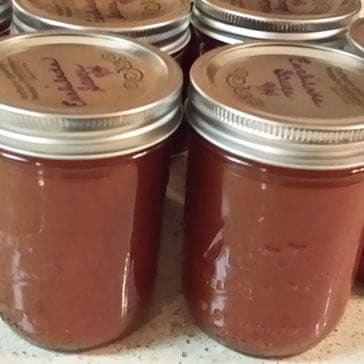 This enchilada sauce can be canned or frozen. If you don’t add the chili powder, it makes a great tomato soup.